I Don’t have many records or know too much about my great grandmother Georgianna so when I have documents with her name on it I get happy. 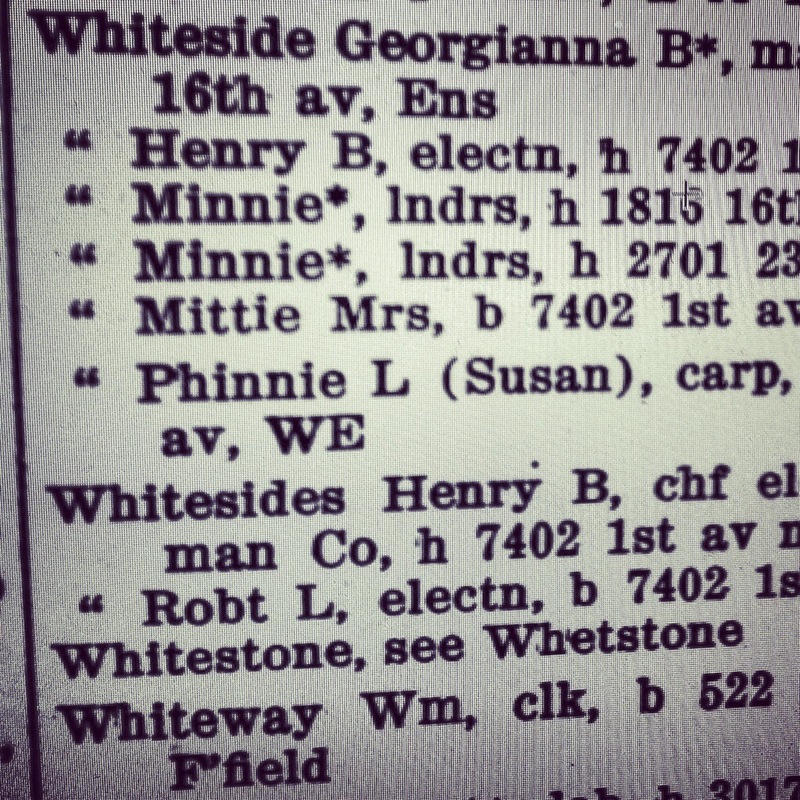 Above is Georgianna and her mother, my great great grandmother Minnie Belle listed in the Birmingham,AL 1915 city directory. 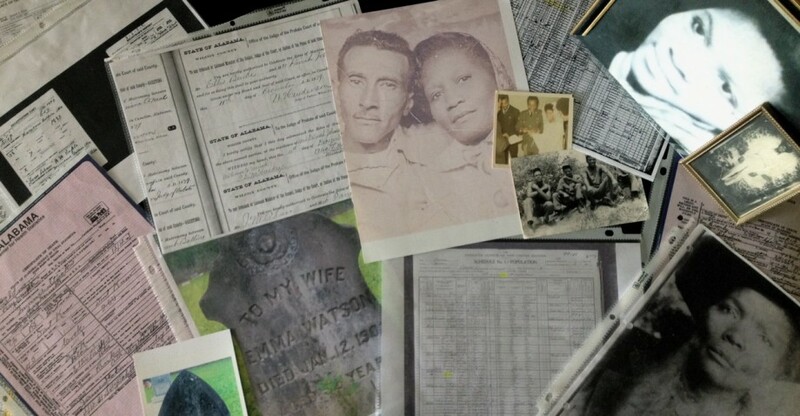 A few years ago I ordered MatriClan DNA test kit via Africanancestry.com The MatriClan test traces maternal ancestry by analyzing the mitochondrial DNA (mtDNA) women and men inherit exclusively from their mothers. 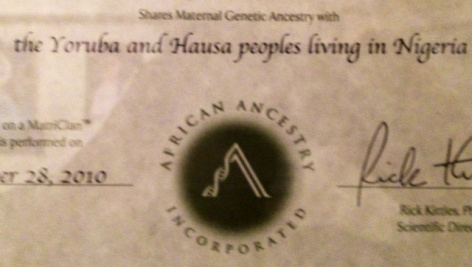 To simply put it its my mother’s mother’ mother’s lineage, the results showed I was of Nigerian decent on my maternal side. 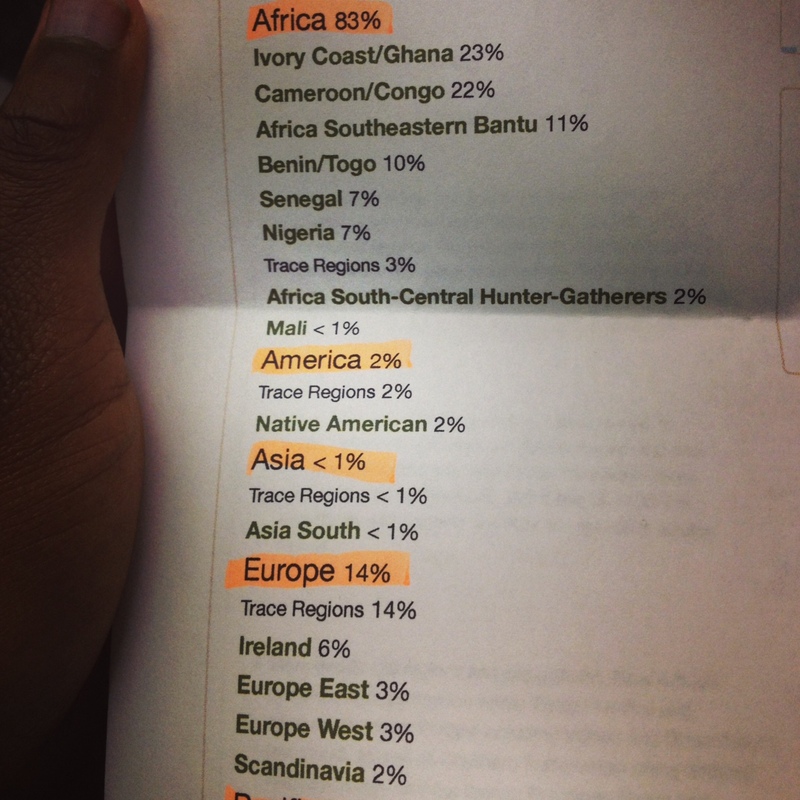 I could now pinpoint a place in Africa where my ancestors originated, and hopefully go visit one day. 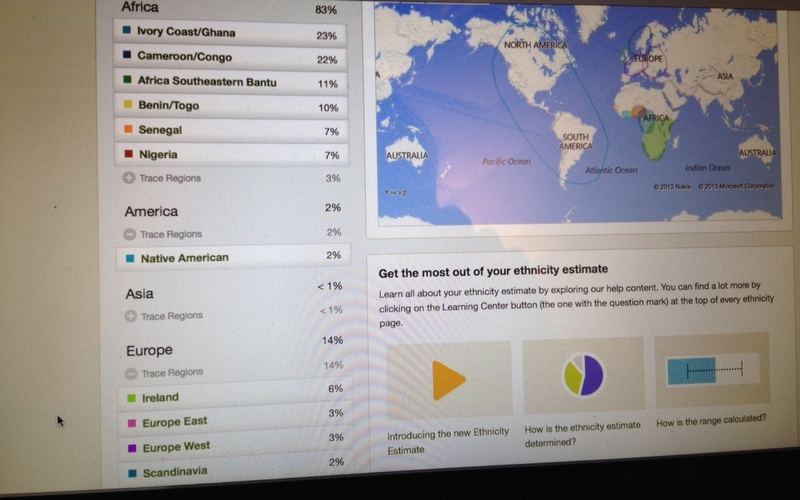 About a year ago decided to take the ancestry DNA test kit via Ancestry.com to see if my African results would be different, check out my results from the new improved Ancestry.com.